WASHINGTON The United States on Tuesday defended drone strikes targeting al Qaeda operatives and others it deems enemies, rejecting reports by two human-rights groups questioning the legality of strikes they asserted have killed or wounded scores of civilians in Yemen and Pakistan. Human Rights Watch alleged that 82 people, at least 57 of them civilians, were killed by the unmanned aircraft and other aerial strikes in Yemen between September 2012 and June 2013 and called such strikes unlawful or indiscriminate. Amnesty International called on the U.S. to investigate reports in Pakistan of civilian casualties, among them a 68-year-old grandmother hit while farming with her grandchildren. The New York-based Human Rights Watch said such strikes are unlawful or indiscriminate. Amnesty, based in London, said it is concerned that the attacks outlined in the report and others may have resulted in unlawful killings that constitute extrajudicial executions or war crimes. President Barack Obama's chief spokesman, Jay Carney, said the U.S. "would strongly disagree" with any claims that the U.S. had acted improperly, arguing that American actions follow all applicable law. Repeating Obama's defense of the drone policy earlier in the year, Carney said there must be "near-certainty" of no civilian casualties before the U.S. proceeds with a drone strike. He said they're not used when targets can instead be captured. "U.S. counterterrorism operations are precise, they are lawful and they are effective," Carney said. Other methods of going after targets would result in even more civilian casualties "and ultimately empower those who thrive on violent conflict," Carney said. He added that there's a wide gap between U.S. assessment of drone-related civilian casualties and what some nongovernmental groups have determined. Amnesty said the U.S. is so secretive about the drone program that there is no way to tell what steps it takes to prevent civilian casualties. They say it has "failed to commit to conduct investigations" into alleged deaths that have already occurred, and it called on the U.S. to comply with its obligations under international law by investigating the killings documented in the report and providing victims with "full reparation." In its report about strikes in Yemen, Human Rights Watch charged that each of six cases examined through interviews with Yemeni officials, witnesses and survivors, drone or other aerial strikes were carried out despite the presence of civilians, in contravention of the laws of war. The strikes are part of a joint U.S.-Yemeni campaign against al Qaeda in the Arabian Peninsula, called the most dangerous al Qaeda branch. It's blamed for a number of unsuccessful bomb plots aimed at Americans, including a failed plan to down a U.S.-bound airliner with explosive hidden in the bomber's underwear and a second plot to send mail bombs on planes to the U.S. hidden in the toner cartridges of computer printers. The Yemeni Embassy in Washington said in a statement to The Associated Press that Yemen has adopted strict measures to avoid targeting militants in civilian areas, and only uses drones "in remote areas to target militants that are out of the reach of security personnel" who present an immediate danger because they "are planning to carry out terror attacks inside the capitals of governorates." Among the six strikes detailed by Human Rights Watch is an attack in Sarar, in central Yemen on Sept. 2, 2012, in which two warplanes or drones attacked a minibus, killing a pregnant woman, three children and eight other people. The report said the apparent target, tribal leader Abd al-Raouf al-Dahab, was not in the vehicle. The Yemeni families were only compensated for the deaths after Human Rights Watch brought the case to the Yemeni government's attention, the report said. The researchers also examined the U.S. cruise missile strike in al-Majalah in southern Abyan province on Dec. 17, 2009. The report said the Yemeni government described the attack as a Yemeni airstrike that killed 34 at a training camp, but a later Yemeni government inquiry found the strike actually killed 14 suspected AQAP fighters, but also at least 41 local civilians living in a Bedouin camp, including nine women and 21 children. The Yemeni president acknowledged the 2009 strike in an interview last year. The Yemeni Embassy statement Tuesday said the surviving families had been compensated. The statement said the use of drones was under review as part of the country's ongoing national dialogue between the president and Yemeni tribal factions. In Pakistan, the U.S. considers its drone program to be a key weapon against insurgent groups that it says stages cross-border forays into neighboring Afghanistan. But the belief, widespread in Pakistan, that the strikes kill large numbers of civilians sparks resentment and complicates the two countries' ability to coordinate efforts against militants based in the country, including al-Qaida. 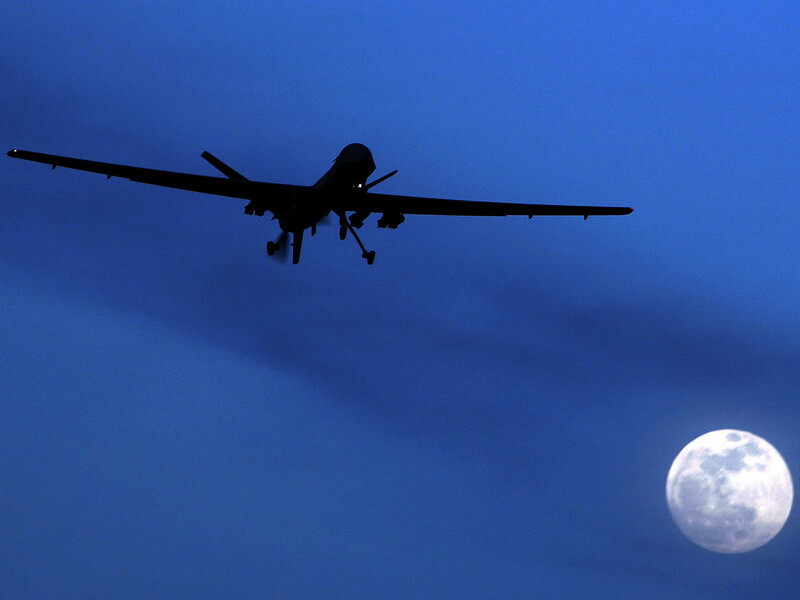 The U.S. drone policy sets a dangerous precedent "that other states may seek to exploit to avoid responsibility for their own unlawful killings," Amnesty said. Amnesty's report said that the grandchildren of the woman killed told the group that missile fire struck on Oct. 24, 2012, as she was collecting vegetables in a family field in the North Waziristan tribal area, a major militant sanctuary near the Afghan border. Three of the grandchildren were wounded, as were several others who were nearby, the victims said. An even deadlier incident noted by the Amnesty report occurred in North Waziristan on July 6, 2012. Witnesses said a volley of missiles hit a tent where a group of men had gathered for an evening meal after work, and then a second struck those who came to help the wounded, one of a number of attacks that have hit rescuers, the rights group said. Witnesses and relatives said that 18 male laborers with no links to militant groups died, according to Amnesty. Pakistani intelligence officials at the time identified the dead as suspected militants. "We cannot find any justification for these killings. There are genuine threats to the USA and its allies in the region, and drone strikes may be lawful in some circumstances," said Mustafa Qadri, Amnesty International's Pakistan researcher. "But it is hard to believe that a group of laborers, or an elderly woman surrounded by her grandchildren, were endangering anyone at all, let alone posing an imminent threat to the United States."